Bow hair for lunch ? What's been eating my bow hair ? I never leave a violin or bow in a case. Bow bugs like it dark. If you suspect a case has bugs put it in the sun for a few hours. 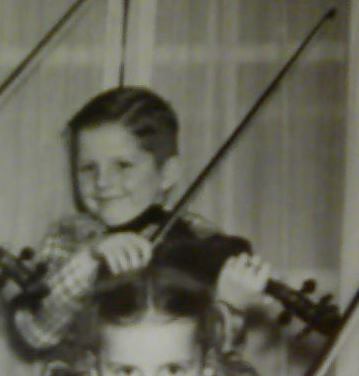 Yeah, I never put my bows in a case or even my violins for that matter. Years ago I had my bow rehaired, put it away in the case and six months later opened the case and there was hair everywhere. Ferret is right, they don't like light. This is good information. I have my bows out because I play every day..and the three that I don't use are just sitting on my desk on the retractable keyboard holder. Those same type beetles have done some damage to some of my woolen projects though, I am familiar with the damage they can cause. I've never had bugs before. oh they are nasty little critters with a voracious appetite for bow hair. The lay the eggs all over in your case and in your violin. Sunlight and playing regularly are the BEST options. the cedar rings will do its job, but take some time. By all means do not use moth balls. Those are extremely poisonous to them and YOU. Not to mention the lingering odor on your bow, violin and case for long many months. Vacuum the case out REALLY well multiple times. let it sit a few days with nothing in it, then vacuum it again. leave it in sunlight or as bright a light as you have for as long a period as you can. MY bows hang on the wall with my violins. I have never had a problem with them up there. nice plants around, bright, keeps the violins in sight so I am more apt to play them more often and longer.